New national director of public prosecutions (NDPP), Shamila Batohi, has harshly criticised senior prosecutors for not paying proper attention to high-profile corruption cases. 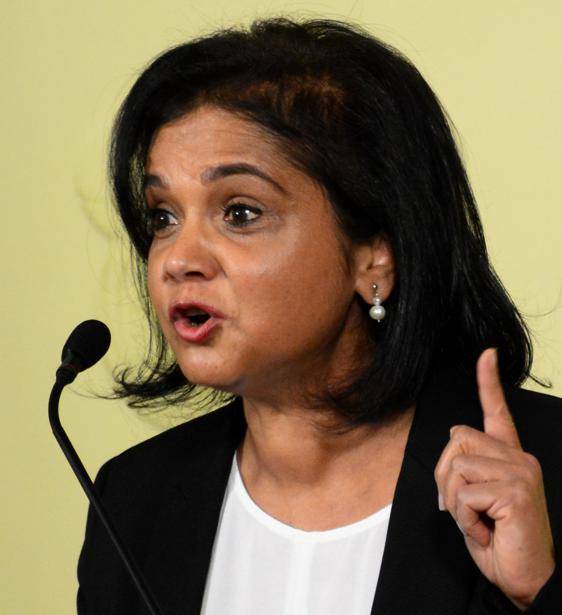 In two tense meetings, the first of which was held the day she assumed office on February 1, Batohi demanded answers on why the National Prosecuting Authority (NPA) unit responsible for handling state capture and other high-profile commercial crimes cases could not “give [them] the required focus”. She also asked for a skills audit, and has sparked fears that the unit will be stripped of its ability to handle high-profile cases, which will be dealt with by the new Investigative Directorate, which will report directly to Batohi. City Press understands that these high-profile cases include those against Bosasa, now called African Global Operations, which have been stalled at the NPA for 10 years. Others include cases laid with the police in 2016, including state capture-related cases involving Transnet and Trillian Capital Partners, which was previously owned by Gupta lieutenant Salim Essa. Information about the meetings, the second of which was held on February 4, is contained in a memo written by acting Specialised Commercial Crimes Unit (SCCU) head Advocate Mpho Doubada to his regional heads. “The issues which were discussed were the performance of the SCCU as well as the reasons the SCCU could not give the required focus on high-profile as well as serious corruption cases,” Doubada wrote. Doubada wrote to the prosecutors that Batohi “categorically indicated that, from where she stands, the unit was supposed to have concentrated on high-profile and serious corruption cases in line with its mandate, and she is going to ensure the unit operates in line with its mandate”. According to the memorandum, Batohi also questioned the capabilities and skills of the unit’s prosecutors to deal with corruption, and demanded a skills audit. “You are therefore requested to provide me with the particulars of prosecutors within your offices in respect of which you are of the view are skilled in serious corruption and high-profile cases,” the memo states, adding that Batohi wanted full details on each prosecutor and their capabilities, including the number of top cases they had been involved in, whether they had experience in high courts, their litigation skills and areas of specialisation. In the memo, Doubada informed his prosecutors that he knew the announcement of the establishment of the NPA’s new Investigating Directorate, which was announced by President Cyril Ramaphosa in his state of the nation address last month, left many with the conclusion that the unit would be stripped of its responsibility to address serious corruption and that most of its powers would be transferred to the new unit. “I am of the view that, at this stage, we should not jump the gun, but that we should also address any concern that we have in connection with the affairs of the SCCU,” he wrote. Unit insiders blame the stalling of cases for years on other law enforcement arms, including the Hawks and the police, which do not have sufficient skills to do the work, and on private companies that take too long to compile the reports that they need to bring watertight cases to court. NPA spokesperson Bulelwa Makeke said Batohi’s discussion and the memorandum was intended for staff only. “The NDPP will have a media briefing soon, where she will outline all her plans and future direction for the NPA, and she will engage comprehensively with the media,” Makeke said. A status report on state capture cases delivered to Parliament by Hawks head Godfrey Lebeya earlier this month, as well as a confidential NPA status report on the cases dated September last year, reveal just how unprepared the state is to take the matters to court. About Eskom and Transnet’s contracts with Gupta-linked Trillian Capital and multinational advisory firm McKinsey, both reports reveal that the Hawks have yet to obtain proof of payments to those companies. Affidavits from Transnet employees, National Treasury and bank statements of Transnet, McKinsey, and Gupta-linked companies Homix and Tequesta were outstanding, and the Hawks are yet to identify the suspects in some of the cases. In the money laundering investigation cases against Homix, which allegedly illegally transferred R51.8 million out of the country, officers have not yet obtained the bank statements of the company, and have not arrested a suspect who was identified and for whom an arrest warrant was issued. In the case of fraud, corruption and money laundering relating to the R659 million prepayment made by Eskom to Gupta mining firm Tegeta for the purchase of the Optimum Coal mine, officials were still waiting for a forensic report and information they requested from the Bank of Baroda. In the now withdrawn Estina dairy case, where R30 million was allegedly transferred by the Free State agriculture department to be used, in part, to fund a lavish Gupta wedding at Sun City, the police are still waiting for feedback from their applications for mutual legal assistance from India and the United Arab Emirates. In the case of fraud, corruption and money laundering related to Transnet’s 1 064 locomotive tender, from which the Guptas allegedly scored more than R5 billion in kickbacks, officials have still not obtained a key statement from Transnet.